3525 Robin Dr, Mountain Brook, AL.| MLS# 820351 | Richard Jacks UABLIVING.com 205-910-2297 | Birmingham AL Real Estate | Contact us to request more information about our Homes for Sale in the Birmingham AL area. 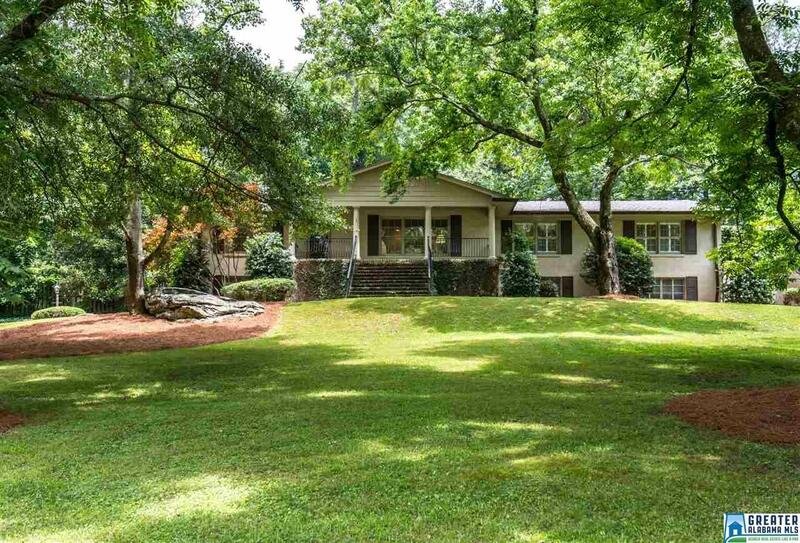 **Reduced** This beautiful Mountain Brook home has great curb appeal, wonderful layout & is in a highly desirable location! The grounds include a gently rolling lawn, mature trees, flagstone patio & play area. Large private lot located a quick drive to 280 and the villages. It has 5 bedrooms, 4 baths & spacious rooms for entertaining & family life. Archways lead from a generous living room to lovely dining room & large open family room with vaulted ceilings, skylights & a doors opening into the backyard. The family room is open to the kitchen which includes a granite-topped island with a counter bar & breakfast room. 4 bedrooms & 3 baths on main level. Master suite has natural light, oversized walk-in closet & master bath with double vanity, tile shower/dual shower heads, jetted tub & private WC. Den with built-ins & game room area on lower level. Lower level has a bedroom, full bath, office that could also be 6th bedroom, hobby room, safe room & 2 car garage with storage space.